Big data tools for your business. Textur is a tool that makes it easy to analyze data across various data sources. It streamlines the process of collecting data then models it to answer complex business questions. Your data lives in various places, Google Analytics, Mixpanel, Salesforce, the list goes on. Managing this data can be difficult, so Textur set out to build a platform that enables people to easily pull their data into one place and analyze it using built-in tools and features. Textur had built a minimum viable product, but they needed UX/UI design to help take their product to the next level and put it in front of their target users. Their ideas — from information architecture to interaction design — enables us to hit the ground running and collaborate to execute their vision. The goal for the brand was to come up with a symbol that reflected the literal name of the company, combined with data & technology in a clean and unique way. Even though the word texture can apply to any surface, the CEO was drawn to fabrics and textiles. It was apparent that there was a visual relationship between textiles and data tables. We decided to iterate on this concept and came up with a triple hashtag design. The logo needed to look crisp and clear as a favicon and in small areas within the web app so thickness of each bar needed to be carefully considered. After several iterations, the final logo was chosen on the basis that it was well balanced, looked good vertically as well as horizontally, and the font thickness closely matched the thickness of each line within the symbol. With the new brand in place, we were able to begin designing a UI style guide that incorporated the new branding colors. 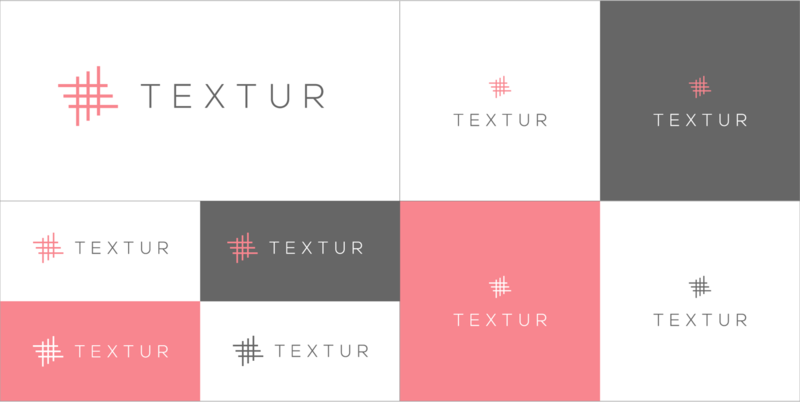 In order to understand the workflow and navigation of Textur's web application, we put together some high-level documentation outlining structure, onboarding flow, and general layout concepts. 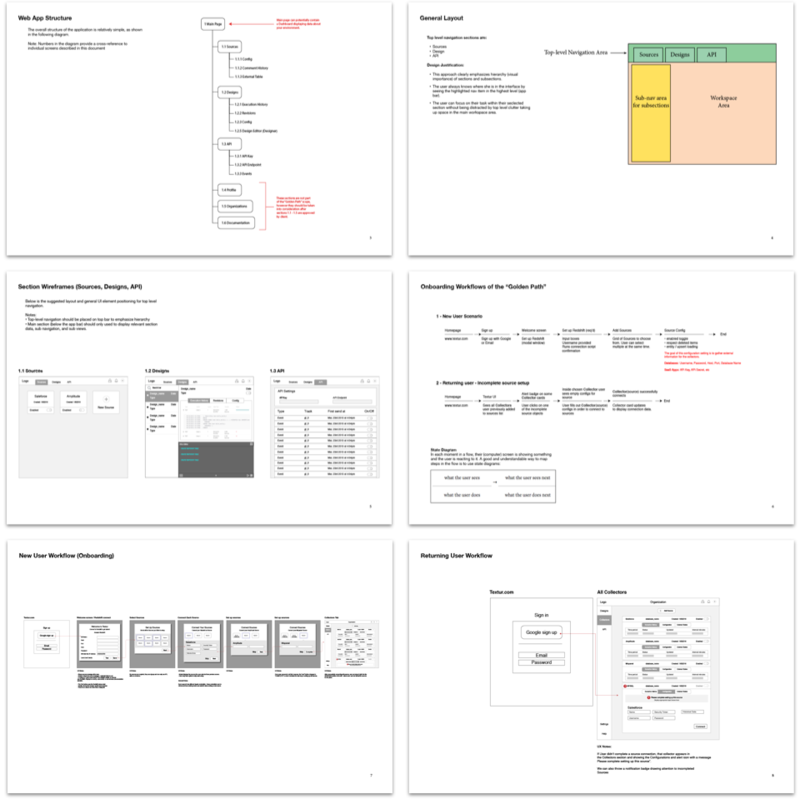 In order to confidently apply the user-interface and visual language we had developed, understanding the information architecture was key to our design process. Starting with the Inbox, which consisted of many of the application's core components, we were able to define many of the UI elements. The Inbox consisted of expandable data cards, activity views, notifications, and more. 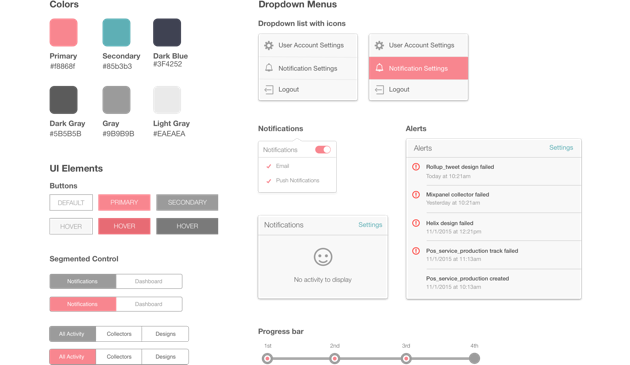 Our visual design approach was to utilize Google’s Material Design principles in combination with our new UI styles. 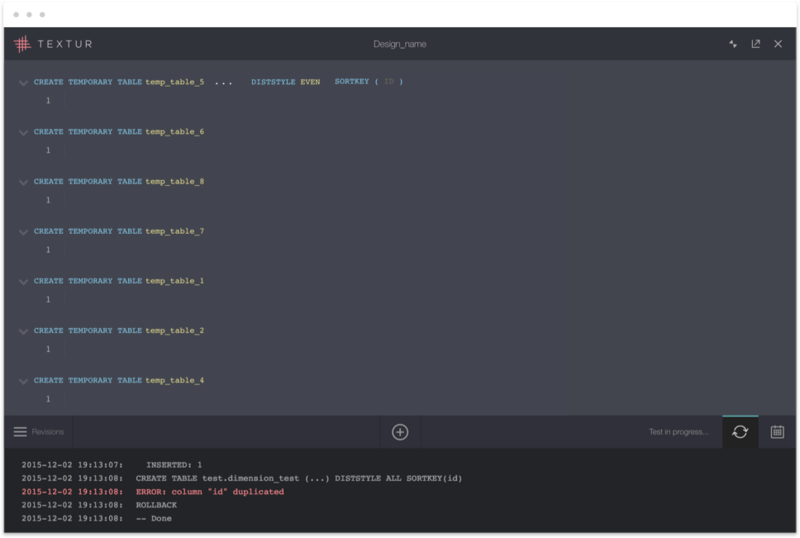 One of the main features that makes Textur different is the ability to write and edit SQL queries in your browser. 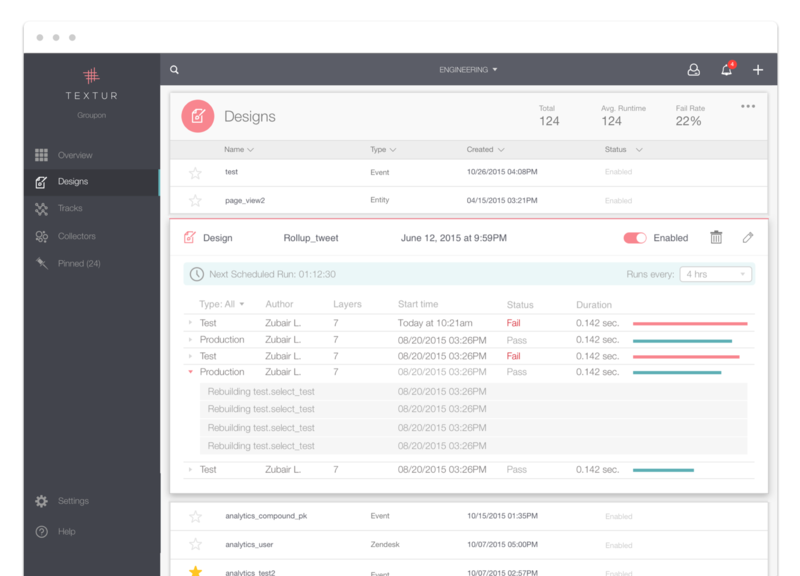 Users are able to navigate from the Inbox to the Editor by clicking on a data card. The Editor slides into the viewport over the Inbox. After the designs were implemented, we went out into the field and spoke with several Data Analysts to gather feedback. We asked them to perform specific tasks, describe their thoughts, and then explain how each task made them feel (happy, frustrated, etc). The usability test uncovered a few pain points in our design, but also validated many of our assumptions as well. We analyized this feedback and implemented solutions based on the UX pain points that were reported. We designed and built a marketing website that incorporated Textur's brand and identity as well as showcased key features that were intended to sell Textur's product. Thanks for reading and feel free to check out Textur for yourself!